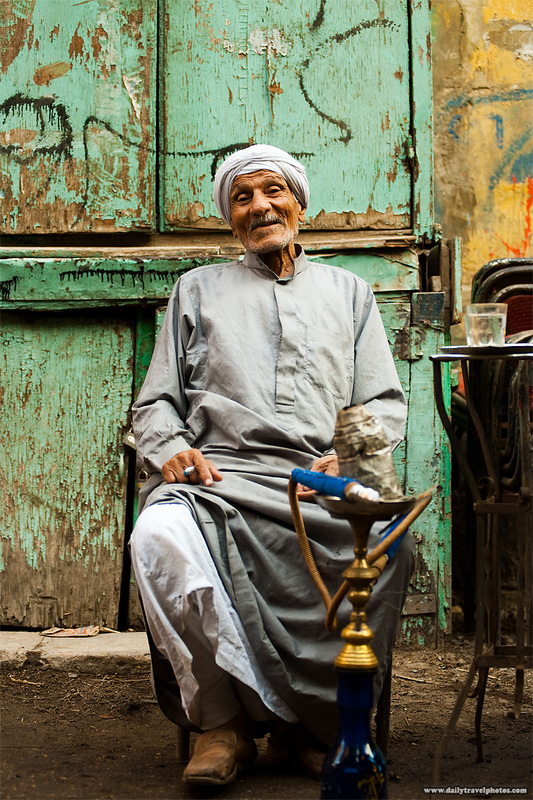 A kind elderly Egyptian at a street-side cafe (ahwa) in Islamic Cairo. In case I never mentioned it before, the Arab world is full of genuine kindness. This kind man is typical of the nature of local residents, even in a major metropolis of 25 million inhabitants like Cairo. I asked for a photo and naturally he obliged. However, his offer to buy me a cup of coffee was more than I could (or would) accept. 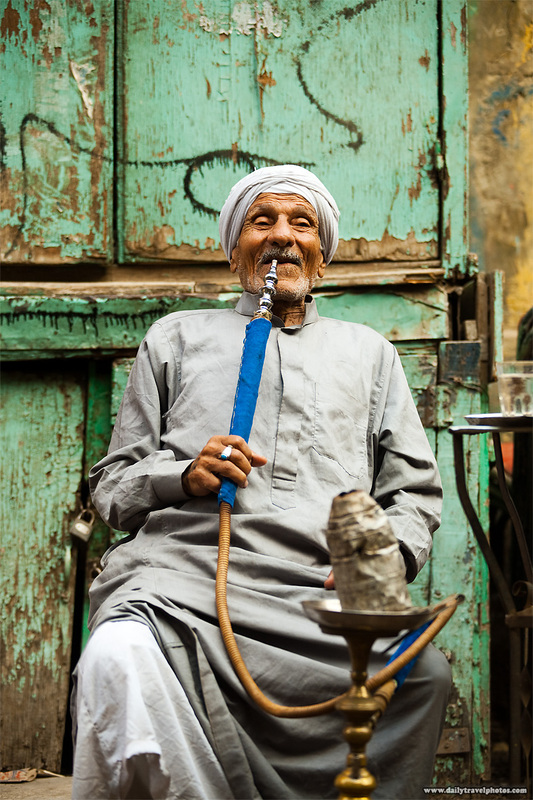 An Egyptian man puffs on a sheesha at a street-side cafe in Islamic Cairo. Cairo has made the list as one of my top cities in the world to visit. My traveling happiness depends on 4 things (in order of importance): warm weather, fast internet, tasty food, and kind people. 3 out of 4 isn't bad. If only they can work on their variety of food and they'd be a perfect 4 for 4.
oh boy I'm digging this shot!! the classic background,the dress,the sheesha, I can feel the Cairo in it! Thanks Alee-ya! The background especially is so completely typical of the random back alleyways that have been neglected for years... but so full of character!